Please click to enlarge and read properly. The event is on Saturday 8th December. 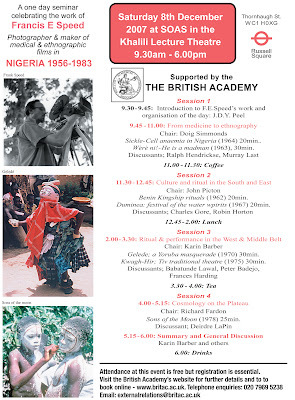 Although attendance at the event is free, you have to contact the British Academy (details at the bottom of the flyer) to register in advance.